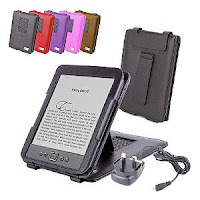 DURAGADGET's leather case for the Amazon Kindle 3 Graphite protects your Kindle and enhances its use. The soft leather finish acts as a tactile barrier protecting from knocks and scratches whilst out and about. Inside the case a tough PU Leather lining is used to form a protective frame around your Kindle, adding to its durability, longevity and toughness. An in-built stand allows you to place your Kindle on a desk, table or any other surface you wish without the need to hold it, with an ingenious adjustable arm that allows a wide range of viewing angles so you can achieve your perfect reading experience.new leather case for the Amazon Kindle 4 Latest Edition protects your Kindle and enhances its use. The soft leather outer acts as a tactile barrier protecting from knocks and scratches whilst out and about. The inside of the case is constructed of tough PU Leather to form a protective frame around your Kindle. The in-built stand allows you to place your Kindle on a desk, table or any other surface you wish without the need to hold it. The adjustable arm allows a wide range of angles so you can achieve your perfect reading experience. Included with this case is a useful mains charger which is not included with your new Kindle! This charger has a three-pin UK plug and a USB to Kindle connection, and is CE and ROSH certified. Built in multi angle stand function allows you to read at your preferred angle without having to hold the device, ideal for the train, dining table or on your lap. 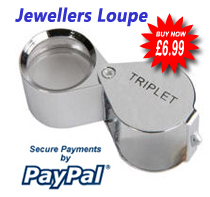 Available in a range of 5 colours - there's sure to be one to match your style! This is the absolute perfect cover for a Kindle. It's better than the ones which open out like a book because, well, they defeat the purpose of a Kindle! The flap-down cover is not only excellent quality and looks great, but it's lightweight and let's you read with one hand (either hand) without having to hold the cover open like a book. The stand is not overly intrusive, and even though it looks flimsy and basic it does the job perfectly, proving less is more. Overall it looks great, feels great, let's you read at the table or whilst doing something else. A personal favourite of mine is to read my Kindle whilst watering my expansive garden; I can spend over an hour holding this cover in one hand flicking through the pages with no problem, because it's all balanced centrally and I don't have to tense my wrist up or anything to keep the cover falling back on the face of the Kindle.